Stainless steel water bottles- Ditching plastic water bottles is probably one of my favorite household changes to date. I always thought that plastic water bottles made the water taste kind of weird and I was skeptical about the safety even before BPA was a thing people talked about. The way plastic hangs on to odors really grosses me out, to be honest. So I was very happy to find a simple, high quality stainless steel water bottle that would work for the whole family. 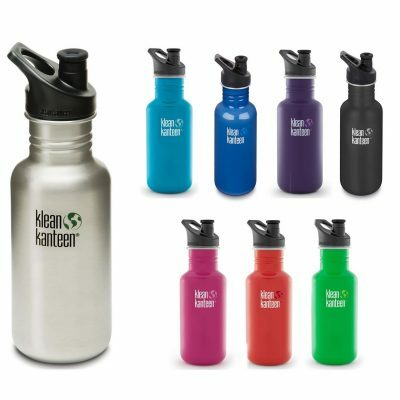 We’ve purchased nearly 20 bottles from Klean Kanteen and have been very happy with their products and customer service. Now there are dozens of other stainless steel bottles on the market but our bottles from Klean Kanteen are still going strong even after about a decade of use! 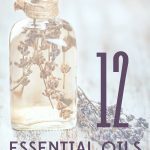 Essential Oils- Since everyone is talking about essential oils, I probably will keep this category short. 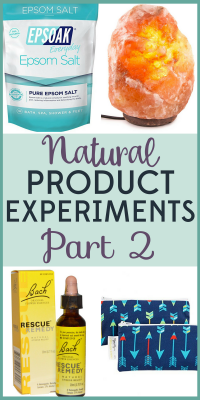 I am thrilled to say that we have eliminated a lot of toxic products from our home over the last few years and I continue to cull through our stash constantly. I shudder when I remember the days when I would spray “air freshener” around to help my house smell good! Beyond potential healing benefits, it’s a huge relief to be able to just freshen your air naturally without any health (or environmental) consequences. 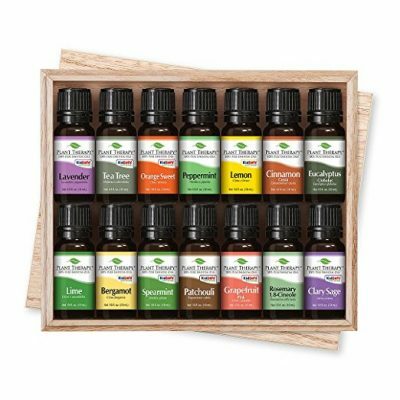 Essential Oils are definitely a crunchy change I am sticking with and my brand of choice is Plant Therapy. They are affordable, responsible and are truly committed to excellent customer care and education. I highly recommend! 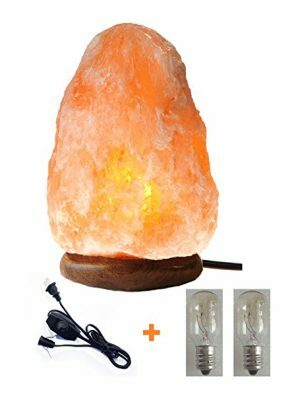 Himalayan Salt Lamps-Here’s a category I’m not sure about, because I can’t really tell you categorically if we’ve had any benefit from this product. However, I really love the soft glow of the Sea Salt lamps and they are inexpensive and long-lasting. I’ve read some articles about the efficacy and I’m still not completely convinced but I have to say they are lovely and the effect in my bedroom is very Hygge. There’s certainly no harm in trying Himalayan Salt Lamps in your home! If you’ve seen benefits from them, please let me know. Reusable Grocery Bags- This is another change which I feel like is a no-brainer! I tried to find the stats on how many grocery bags Americans go through each year and I found staggering numbers from 100 billion to much higher. The rate of recycling for these bags is pathetically low. If you aren’t ready to make the switch to re-usables, a great start is to recycle your grocery bags regularly so that they aren’t getting shoved into the landfill. Many grocery stores have recycle bins that you can utilize! 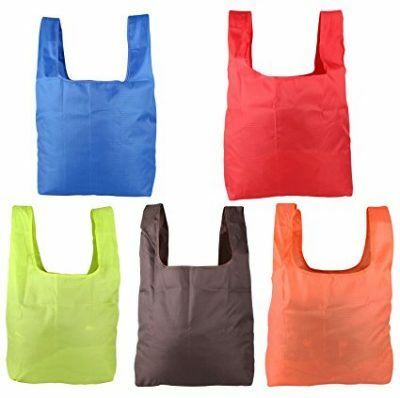 I have been using reusable bags from the dollar tree, but there many to choose from on Amazon. Make sure you find some that will hold up well to machine washing because these bags do take a beating and definitely need to be washed frequently. Bento Lunch Boxes-Here’s a category that has kind of been a fail for my family. Bento lunch boxes have become a trend in my area so I jumped on the bandwagon and realized I just didn’t realistically have the gourmet prep skills and intrinsic motivation to fill multiple compartments with healthy offerings at the crack of dawn. I bought several different models, but I found them awkward to store, difficult to clean and inordinately expensive (hello, Planet Box I am looking at you). Plus I only pack lunches 2-3 times per week so it just wasn’t working out for us. 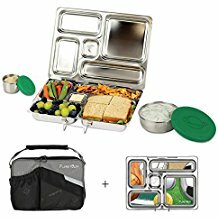 If I could find an affordable, easy to wash, multi-compartment stainless steel lunch box with a leak-proof seal I might give it another try but honestly I think the problem isn’t you, Bento Box, it’s me. 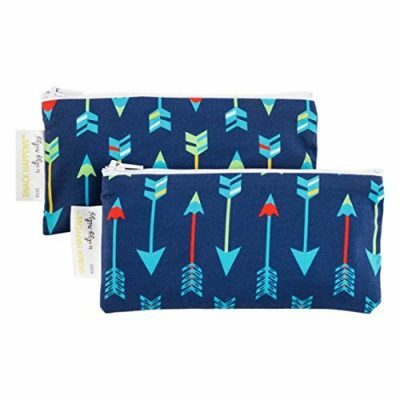 Reusable Baggies-In contrast to Bento Boxes, reusable sandwich baggies have been an easy switch for us. Although I still buy disposables, we have used and re-used cloth versions for years. I did buy a few duds that just didn’t do the trick before I found the brand Itzy Ritzy. These bags are super sturdy (Some other bags seal with velcro which becomes a disaster after coming in contact with crumbs and food but Itzy Ritzy uses a sturdy zipper-genius!) and wash and dry beautifully. Plus they are SUPER cute. Baby-wearing-It makes me kind of sad to discuss this category because my baby-wearing days are over now since my youngest is five! But keeping your baby close and comfy to your body while you go through your daily life makes so much sense. It’s good for you, good for baby and I read it even helps to regulate your hormones after delivery. 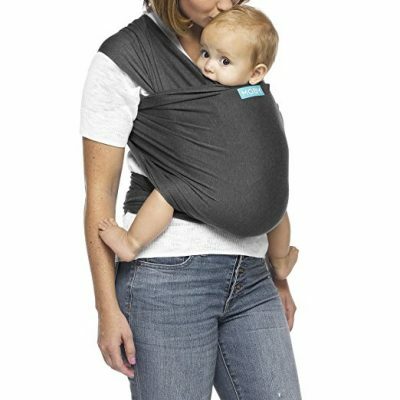 There are a ton of great baby carriers available and this is really a product that deserves it’s own blog post. I personally used and loved the Moby Wrap and the Beco, but there are many, many others. Contact your local baby-wearing club if you are interested in baby-wearing! These groups are incredibly well-informed and can even let you try before you buy. 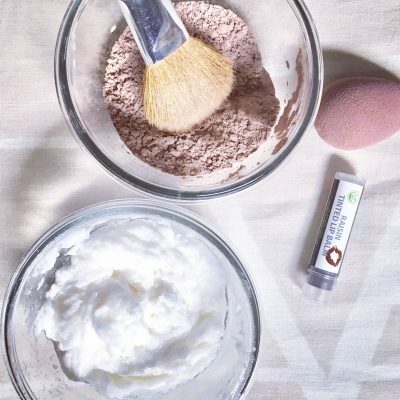 DIY Beauty-I haven’t delved too deeply into DIY beauty because I am really a skincare and makeup minimalist, but I have tried a couple different recipes that have worked really well for me. I have been making my own sugar scrub for years now and I absolutely love it. It smooths, hydrates and is great for almost any area of your skin that needs a little extra TLC. (Also, when your hands smell like garlic or onions, this scrub is perfection!) Another one I’ve tried that works really well is DIY dry shampoo in a powder form but I confess the convenience of a spray usually sways me. I did try a spray-on dry shampoo recipe but it kept clogging up my sprayer. 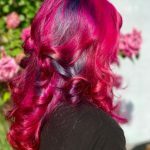 If anyone can help me trouble-shoot that I would really appreciate it! Homeopathic Remedies-Here’s another really broad category that covers a whole bunch of products, of which I have tried only a small sampling. However, I really do believe that many homeopathic remedies can be effective when used with care. One product I truly believe in is Elderberry Syrup! We try to take this one preventatively when one member of the family has come down with something and it seems to have kept us healthy several times! My kids also really like these gummies. 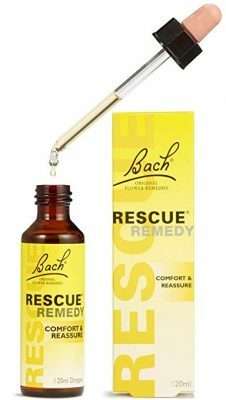 I also really love Bach Rescue Remedy for anxious moments in my life. It really does calm me down quickly. 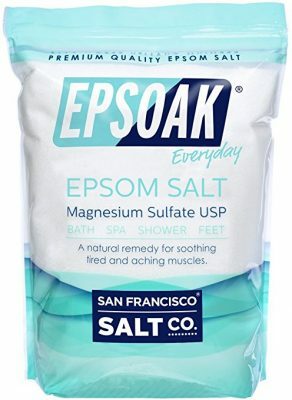 Epsom Salt Baths-I’m not sure if this is considered “crunchy” or not but it’s definitely a natural way of detoxing the body. Click here for more info about detoxing with Epsom salt. This year we have really been working on improving our gut-health because a couple of us have been dealing with stomach issues. My first experience with an Epsom salt bath irritated my skin but I realized that was because essential oils had been added, so now I use plain, unscented Epsom salt only. And I’ve come to really enjoy a nice warm Epsom salt bath! If you want to give it a try, Costco has a great price on this or you can try one of these options from Amazon! 100% Cotton-This might seem like an odd one, but for the last few years I have been choosing cotton as often as possible over synthetic fabrics or blends. It’s comfortable, breathable and less likely to cause skin irritations or allergies. 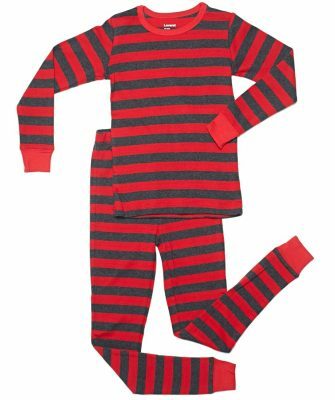 Specifically, I have noticed that kid’s pajamas are usually made of polyester so we have tried to search out cotton brands. Our favorites are Hanna Andersson and Leveret. Both are soft, stretchy and hold up to hundreds of washes! Buying Second Hand-This final category should not surprise anyone and it’s definitely not a new topic here at Bargain Babe. One of my very favorite eco-friendly habits is shopping second hand whenever possible! Besides the obvious financial benefits, it’s great to know that your purchase is bringing new life to a discarded item. Whenever I can, I shop second-hand whether on Ebay, at my local thrift stores or directly from someone locally. I recently purchased an item for my son that took several months of hunting to find. I didn’t save a ton of money but I’m still happy with buying used. I enjoy giving new life to something that would have otherwise been destined for the landfill; it’s ecologically and economically a win-win! Thank you for this wonderful tips! I am planning to buy the Himalayan Salt Lamps but I am not fully convinced of the reviews I find in Amazon. Will you please let us know more about the Himalayan Salt Lamps if it really is effective? Does it really keeps the atmosphere in the room calm and happy? Thank you and I look forward to your reply! https://youtu.be/ZQ–scjcAZ4 this is an interesting video that talks about salt lamps. They are really beautiful though and I do love mine.